Courtesy of Marjorie Baysinger, Joe Manausa Real Estate. You won’t believe all the extras that this home has to offer! In addition to the main house of 1,629 sq. ft, there is a 1,148 sq. ft. move-in ready cottage, a spacious art studio, and a large workshop! All situated on a large 1.5 acre lot, this home also has a screened-in heated pool. A new roof, pool equipment, and new HVAC system make this a perfect place to call home! 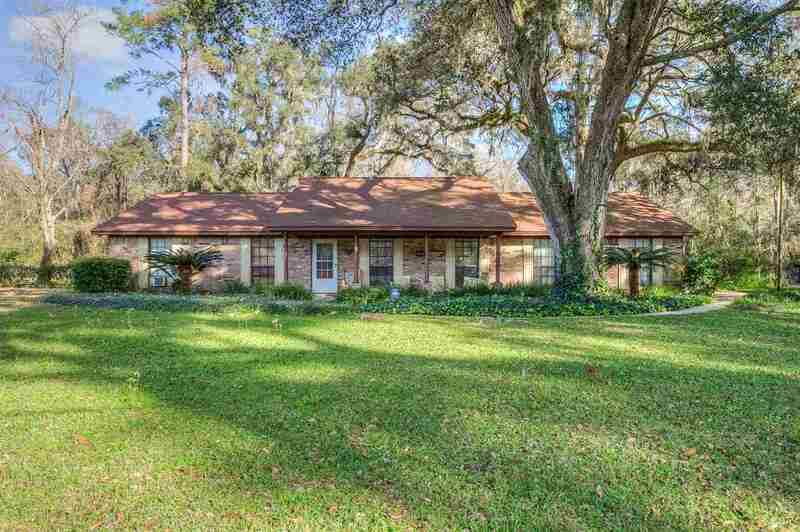 Please, send me more information on this property: MLS# 302661 – $285,000 – 4425 Sherborne Road, Tallahassee, FL 32303. I would like to schedule a private showing for this property: MLS# 302661 – $285,000 – 4425 Sherborne Road, Tallahassee, FL 32303.